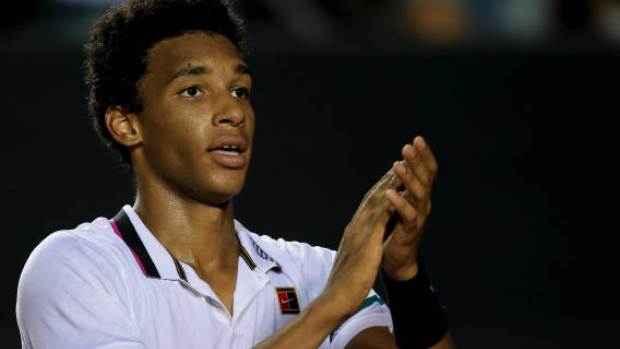 MIAMI — Canada's Felix Auger-Aliassime has advanced to the main draw at the Miami Open. The 18-year-old from Montreal defeated Paolo Lorenzi of Italy 7-6 (1), 6-2 in the second and final round of qualifying for the ATP Tour Masters 1000 event on Wednesday. "I served much better today. I made a few errors in rhythm, in shot location at the beginning but slowly, it came together," Auger-Aliassime said. "Lorenzi had a good first set. He played well, he was solid. In the tiebreak, I served well again, took my opportunity, And after that, everything was on my side. So overall I'm pretty satisfied with the effort today." Auger-Aliassime will play fellow qualifier Casper Ruud of Norway on Friday. While Auger-Aliassime is ranked 57th in the world after a string of good results over the past month, his ranking was not high enough to secure a spot into the main draw when the entry list came out several weeks ago. Auger-Aliassime was the second seed in the qualifying draw, while Lorenzi was 17th. Auger-Aliassime joins No. 20 seed Denis Shapovalov of Richmond Hill, Ont., and No. 12 seed Milos Raonic of Thornhill, Ont., in the main draw. As seeded players, Shapovalov and Raonic get byes. On the women's side, Bianca Andreescu of Mississauga, Ont., had her first-round match against Irina-Camelia Begu of Romania postponed due to rain. They will make up the match on Thursday morning. The 18-year-old Andreescu is coming off a stunning run to the title at the BNP Paribas Open in Indian Wells, Calif. Miami organizers rewarded Andreescu with the featured match on centre court on the opening night of the tournament, only to have the rain take her off of it.